For the second weekend in a row, Gulfstream Park will host a huge event. This week, it’s on to the Kentucky Derby Trail, as the Grade 2, $350,000 Holy Bull Stakes is set for this Saturday. 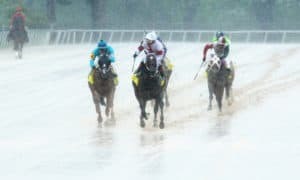 The race serves as a Kentucky Derby points race on a 10-4-2-1 scale. Also for the second straight week, Gulfstream Park will be part of a nationally-televised event. 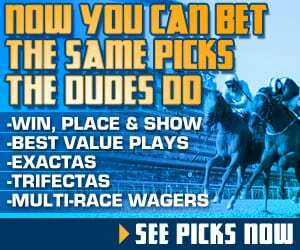 FOX Sports Saturday At The Races, airing on FS2, will televise live racing, featuring more than 24 hours of coverage in 2019, beginning Saturday with a 2 1/2-hour show that will also air the Grade 3, $200,000 Withers Stakes from Aqueduct and the Grade 3, $150,000 Robert B. Lewis from Santa Anita Park. The Holy Bull is race 11 on the card with a post time of 5:13 PM ET. The Grade 2 Remsen Stakes winner Maximus Mischief will make his 3-year-old debut in this race. 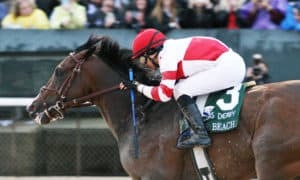 He is the headliner of the field after his major Remsem triumph as he now eyes another big victory on the Road to the Kentucky Derby. Before winning the Remsen, he showed off his talent at Parx, winning maiden special weight and allowance events with complete ease. 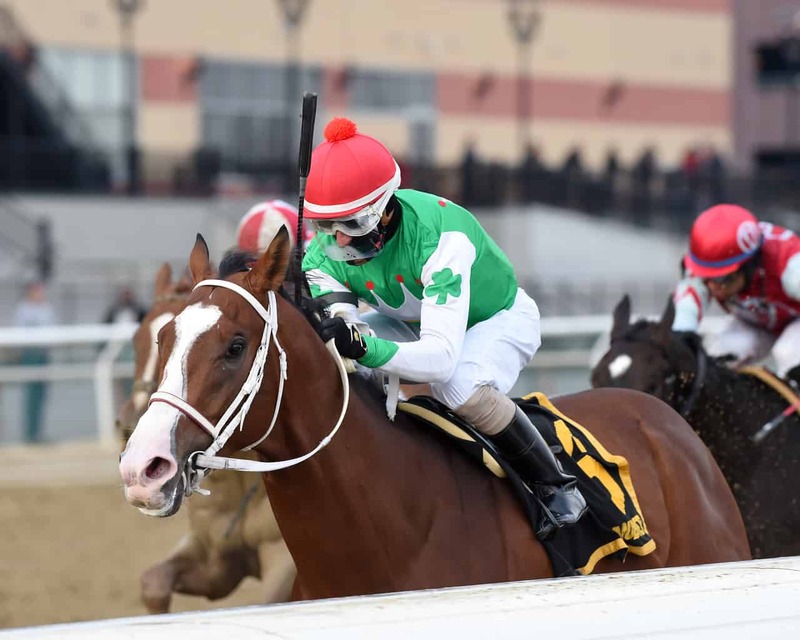 This son of Into Mischief has never trailed at any point in his three lifetime starts, and now jockey Jose Ortiz will take the mount for the first time. The main challenger will be Mihos, who has an experience edge on his main rival. Mihos was last seen winning the $100,000 Mucho Macho Man Stakes at this track, narrowly defeating Trophy Chaser. That win gave him two victories in a row, and he has not run worse than third in three lifetime starts. 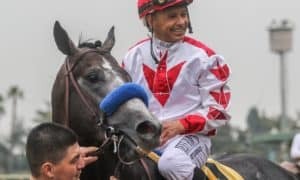 He once again drew the 6-hole today, and Hall of Fame jockey John Velazquez has signed on to ride. Of course, you can’t have a Kentucky Derby prep race without trainer Todd Pletcher, who has been the king of Gulfstream Park for many years. 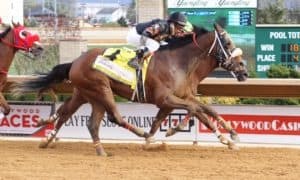 He won this race last year with Audible, who went on to win the Grade 1 Florida Derby before finishing a fast-closing third in the Kentucky Derby. This year, he brings in Federal Case, who is a perfect 2-for-2 to start his career. 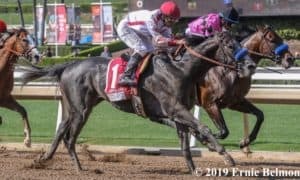 Last time out, he was an allowance winner over this track, narrowly defeating Frosted Grace, who runs earlier on the card in the Grade 3 Swale Stakes. The full field from the rail out: Garter and Tie, Federal Case, Epic Dreamer, Everfast, Harvey Wallbanger, Mihos, Come On Gerry, Maximus Mischief, Gladiator King, and Going for Gold. #8 Maximus Mischief – It is always exciting when a horse like this is set to make its 3-year-old debut. Maximus Mischief is working great heading into this race, and picking up the services of Jose Ortiz is important to note, as Ortiz rode Mihos in his last start. 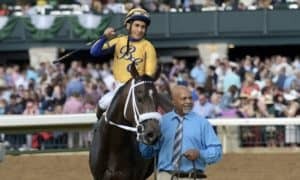 Winners of the Grade 2 Remsen Stakes have struggled in recent years on the Kentucky Derby Trail; however, this horse looks like he could be a star and might simply be better than this group. 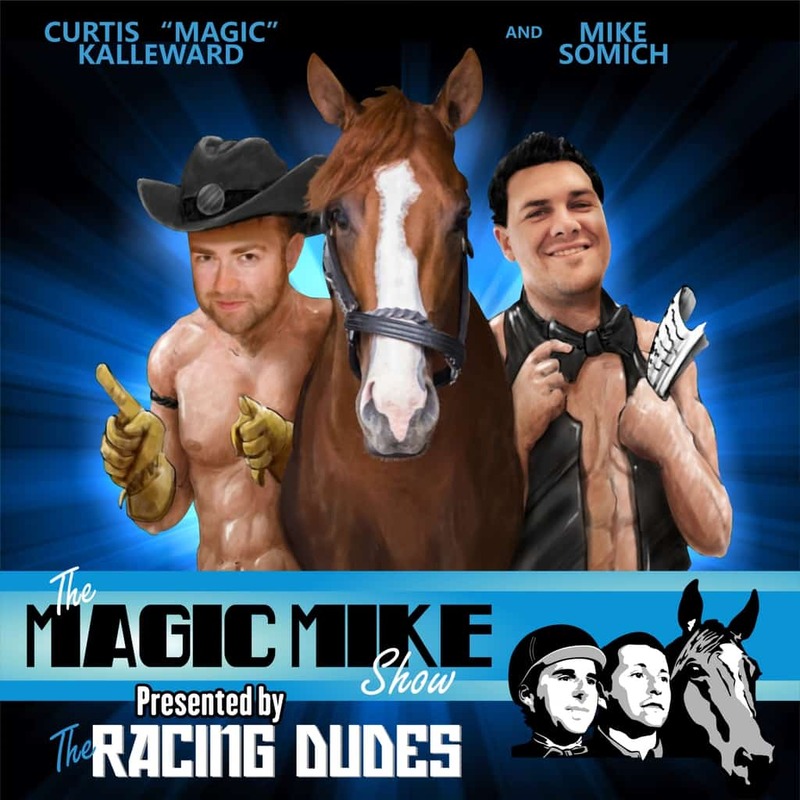 #6 Mihos – There is no doubt that this is going to be a horse to reckon with along the Kentucky Derby Trail in South Florida. He was nearly my top pick in this race; however, Ortiz moving to Maximus Mischief was too much for me to overlook. Still, you have to like the turn of foot and heart that he displayed last time out to catch Trophy Chaser late to pick up the win. He gets more distance here, which should be a good thing. He comes into this spot with a big chance. #2 Federal Case – We’ll see if Pletcher can get some of his 3-year-olds going this weekend, starting with Moretti in the Withers, then Federal Case in this race. After breaking his maiden at Keeneland for trainer Rodolphe Brisset, Federal Case was sold and transferred to Pletcher, where he was successful in an allowance event last time out. He was not overly flashy, but he showed enough in that race to think that he can at least hit the board here. #1 Garter and Tie – This horse must be respected again after a solid third-place effort last time out here in the $100,000 Mucho Macho Man Stakes. 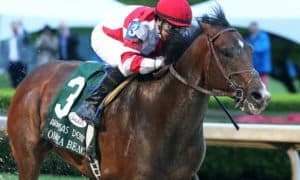 This is not likely to be a serious win contender; however, he has shown the class necessary to hit the board in a race like this one, and he also loves running at Gulfstream Park. #3 Epic Dreamer – He shipped to Remington Park as the favorite for the $400,000 Springboard Mile; however, things went poorly right from the start, as he got bumped around quite a bit throughout the race. He could be sneaky here with a better trip, having put forth two very good races before his Remington disaster. After finishing second to the highly-regarded Vekoma on debut, he then broke his maiden, beating another solid horse named Felix the Fox. If he can rebound to that kind of form, then winning this race is not out of the question. #5 Harvey Wallbanger – This Kenny McPeek-trained entry could be dangerous. After several close losses, he finally broke his maiden last time out at Churchill Downs. 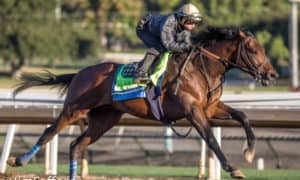 He faced some pretty decent horses in those maiden special weight losses, which will help him here, as he has to handle the toughest field that he’s seen yet. He is not one to lean on too heavily, but he might be worth a flyer if the price floats up to a high number. #7 Come On Gerry – After a lackluster debut at Churchill Downs, this Dale Romans trainee exploded last time out to dominate maiden special weight foes at Gulfstream Park by over 7 lengths. That race was around two turns, which could have made a big difference, but the speed figure did not come back all that well for the that effort, which has me questioning his talent level. #9 Gladiator King – It’s extremely surprising to see him entered in this race after getting beaten badly in his last two starts against stakes company, and this will be his third race in a month, too. Expect more struggles from him until he drops down in class. #4 Everfast – After breaking his maiden at first asking, it has been nothing but downhill for him, with five straight blowout losses. He was a surprise entry in this race and has very little chance of being competitive against this tough field. #10 Gold for a King – He will try to win this event as a maiden, although he has been close to winning in both starts, losing by narrow margins while sprinting at Laurel Park. Here, he changes tracks while stretching out for the first time. It all seems a bit much for him to overcome.